Ryan, Quigley (Maguire 54), Frost, Brennan, C Foley, Mulcahy, M Foley, Murphy, Rutherford, Keegan (Armstrong 76), Molloy (Quigley 81). 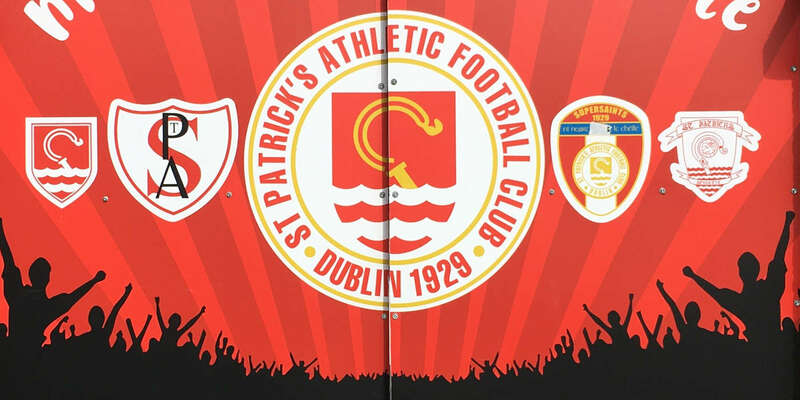 MAYBE this is the year when St Patrick's Athletic will lay some ghosts to rest. 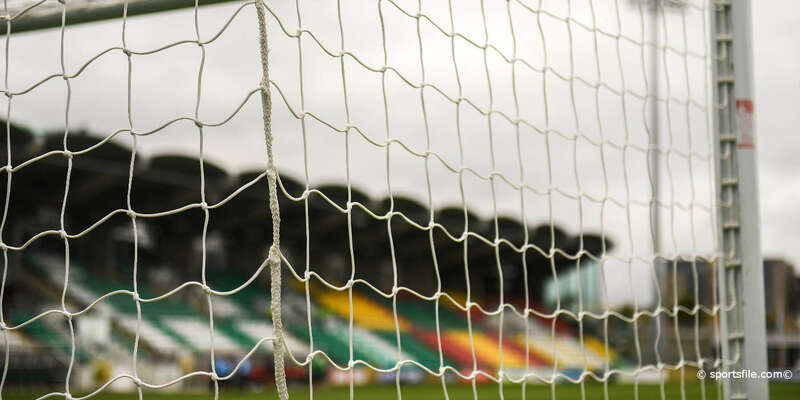 After being haunted by Longford Town in recent times, dumping the Midlanders out of the FAI Cup last night gave the 'Richer' regulars something to cheer about. 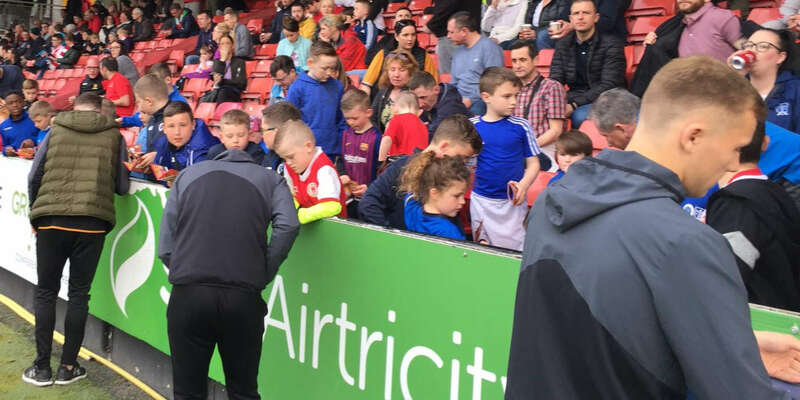 There hasn't been much of that going on at Inchicore lately, with doom and gloom the prevalent mood after a desperately disappointing run of league results. But all of that will be forgotten if John McDonnell's side can end the Saints' 45-year wait for cup success. They're one game away from the final now. And with the pain of their Lansdowne Road defeat to Longford three years ago still relatively fresh, the locals took pleasure from ending the dreams of Alan Mathews' charges this time around. You had to feel a bit sorry for the visitors though. Effectively, it was game over for them at half-time, chasing a two-goal deficit and down to ten men after 45 minutes during which they had created an equal amount of chances. Undoubtedly, this wasn't the result cynical Saints fans expected as getting beaten by Longford has been the norm rather than the exception in the summer soccer era. But the Dubliners set about putting that right from the outset, with hat-trick hero Trevor Molloy rolling back the clock by taking centre stage in the third minute. Picking up a loose ball, the mercurial front man seized possession near the right touchline and raced inside before stopping and switching direction, leaving Longford defender Kevin Doherty in his wake before curling a delectable attempt into the top corner past the flailing Mick Dempsey. It was just the start the game needed, but Longford responded in positive fashion. Within four minutes they could have been level but Dave Mooney's toe poked effort was inches wide of the post. Further openings followed for Gary Cronin and Robbie Martin but they were all in vain as Pat's made what was ultimately the crucial break just before the half-hour mark. 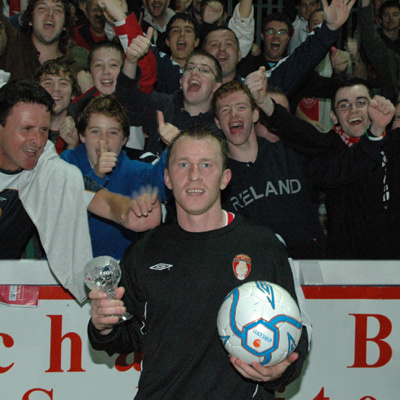 Right sided midfielder Murphy isn't the most popular player with the Inchicore faithful, but he breached the visitors' off-side trap and when he advanced into the area and was about to pull the trigger Danny O'Connor clipped his heels. It was a no-brainer for Pat Whelan who awarded a red card to the Longford captain. Michael Foley slotted home the penalty with aplomb. After that, it threatened to get ugly with a scuffle before the break. In fact, Whelan should probably have reached for his back pocket again after Alan Murphy's rash challenge on Mark Rutherford. Looking on the positive side for Mathews, at least it showed his men had a bit of fight as their season was slipping away. But despite a promising start to the second half, their numerical disadvantage soon caught up with them and on the hour mark Molloy's deflected effort beat Dempsey after a Rutherford cross. Robbie Martin pulled one back for Longford but it was not the start of a comeback. Instead it got worse when Whelan awarded another penalty for a contentious handball by Davy Byrne. Molloy wanted to take the match ball home so he grabbed it and completed his hat-trick with a swagger as Foley stood aside. Shortly afterwards, the Midlanders were down to nine when Byrne was given his marching orders after swinging his arm at Murphy. A sorry end to an evening they will want to forget.